This solution lets you create relationships between two or more lists or document libraries, based a lookup column connection or a keyword in a field in the child item that matches a value in the parent item. You can list the connected children in the parent element, something that is not possible out of the box in SharePoint. 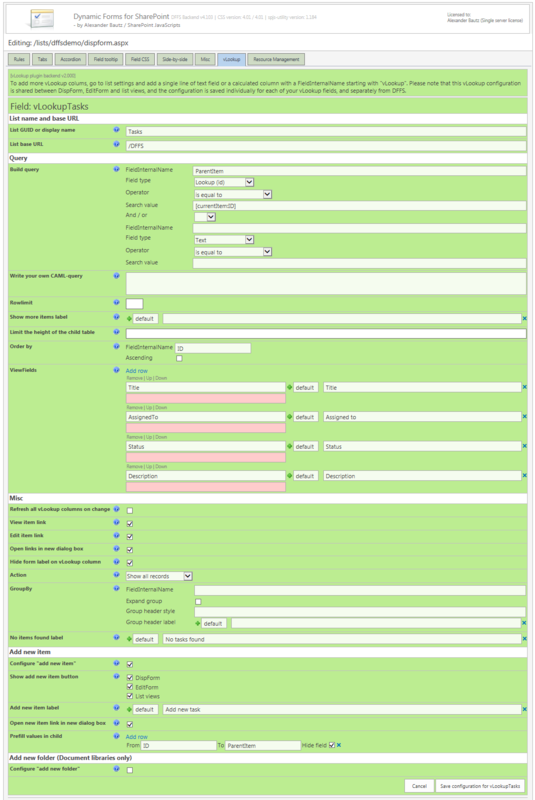 This solution also lets you create new children directly from the parent element, and it will auto-populate the “connection” to the parent element, as well as prefilling other fields based on values from the parent element. This is both a plugin to DFFS and a standalone solution (from v2.0 it is DFFS plugin only). To activate this plugin in your DFFS solution, refer the DFFS setup instructions. You find the complete change log here. Read the user manual to learn how to set up this solution. 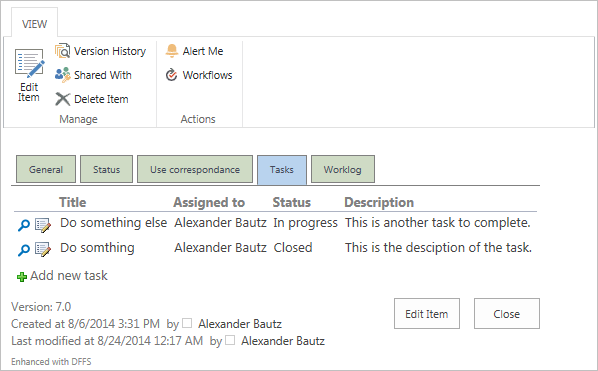 You find the script files for SP2010 and SP2013 frontend and backend here. Please note that from v2.000 it is purely a DFFS plugin. The frontend file for SP2007 can be found here. Please note that the backend file is shared with SP2010 and SP2013 and can be found on the link above. If you want to use it without DFFS you must use a verions prior to v2.000. Refer these articles for previous version setup. This solution “shares a license” with DFFS so if you buy a DFFS license it covers both. Use the forums for all discussions regarding vLookup for SharePoint.